Globe Theatre Owners - Why was the Globe theatre built? The first 'Theatre' was a great success in Shoreditch, London of the Elizabethan Era. However, there was dispute over the lease of 'the Theatre'. The Puritan owner, Giles Allen. disapproved of the Theatre and the Lord Chamberlain's Company acting troupe who acted there. Richard Burbage opened negotiations to re-new the lease of the 'Theatre' but these all failed which is the reason why the Globe Theatre was built. Globe Theatre Owners - how much did the Globe theatre cost? The first 'Theatre' had been a great success in Shoreditch, London of the Elizabethan Era. But money had to be raised to build a new venue, which was to be called the Globe Theatre. And money was tight. Richard Burbage had died in 1597 and his son Cuthbert Burbage took his father's role of theatrical entrepreneur. His brother, Richard Burbage, was an actor. The Burbage brothers could not raise enough money to pay for the new theatre. How much did the Globe Theatre owners need to raise? The exact cost of the Globe Theatre is unknown but it is recorded that James Burbage borrowed 1000 marks (£666. 13s. 4d.) from his father-in-law, John Brayne, with which to build the original 'Theatre'. What is known is that the Globe Theatre was built with many of the timbers and other material from the old 'Theatre'. The land, which had been owned by the Bishop of Winchester, had to be leased from his estate which was called the Liberty of the Clink. Globe Theatre Owners - how many owners of the original globe theatre were there? The six joint owners took out a thirty-one year lease which began at Christmas 1598. 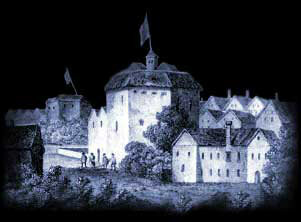 The new Globe Theatre was built in just six months and opened for performances in May 1599. The Owners of the theatre were called the "housekeepers". The shares dropped when Henry Condell and William Sly joined the owners in 1605-08 and again in 1611 when William Ostler joined with the owners. Interesting Facts and information about the Globe Theatre Owners. Additional details, facts and information about the Globe Theatre can be accessed via the Globe Theatre Sitemap.